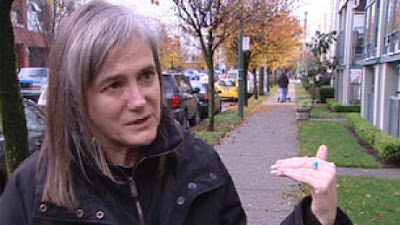 Selections from a recent talk in Cambridge, MA, by journalist Amy Goodman, longtime host of Democracy Now! Goodman tells stories that explore the corruption of the corporate media and that show ordinary people fighting back against the System--sometimes successfully. In Part 1, many of her stories come from the recent past--specifically 2011. Highlights include the trial and execution of Troy Davis, popular rebellion in Wisconsin, Occupy Wall Street, and some memorable climate activism. In Part 2, Goodman tells of KPFT-FM vs. the Klan ... the 2015 murder of Black church members in Charleston ... and Bree Newsome's heroic (if felonious) cuting down of the Confederate flag from the Statehouse lawn. Plus tales of Emmett Till, Rosa Parks, and more. Plus a song by David Rovics. Goodman spoke in Cambridge on May 10, 2016. The original 75-minute recording--which I have condensed and edited--courtesy of Stan Robinson for Truth and Justice Radio (truthandjusticeradio.org). Goodman's new book (with Denis Moynihan and David Goodman) is Democracy Now! : 20 Years Covering the Movements Changing America.